Getting into a regular reading habit makes a huge difference in a student’s reading ability. I understand that nights get busy so it’s okay if there are times that you don’t get to it, but hopefully you can find times to read part of a take-home book on most days. The focus on this reading is on QUALITY and not QUANTITY. It is okay if you need to work on the same book for a few nights in a row. 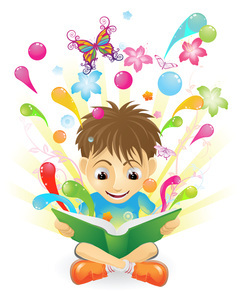 The purpose is for your child to understand and think about what they are reading. You and your second grader should discuss points with these take-home book so they do not get into the habit of rushed reading or reading just to be done. What did this story make you wonder about or want to know more about? What about this story is similar to something that has happened to you? Write down the name of the book and the level (this is a letter on the back of the book) on the reading log. You can also write down other books and chapter of books that your second grader reads at home on the log. Each completed page earns a sticker for our incentive chart and a piece of candy. Thank you so much for your help in getting these reading habits established!